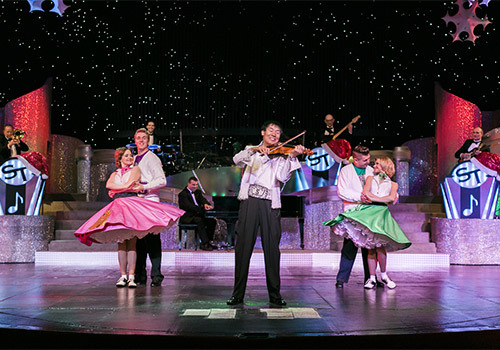 This unforgettable two-hour performance, a popular Branson show since 1990, is a high-energy experience featuring the many talents of the Tabuchi family. 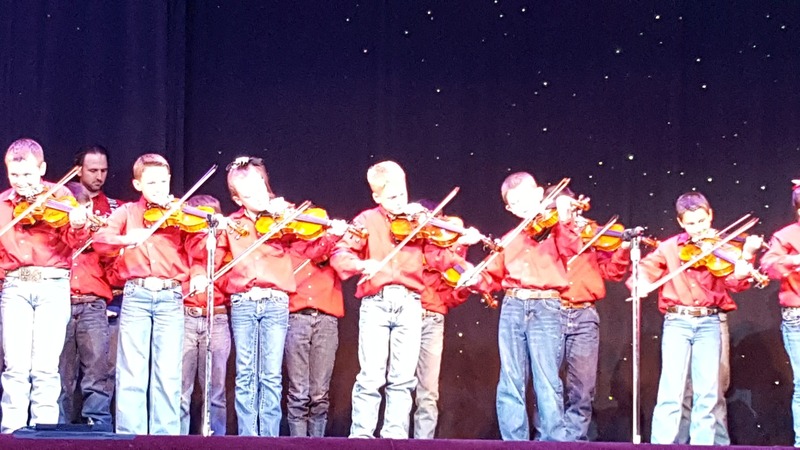 Guests of the Shoji Tabuchi Show can enjoy incredible violin numbers, beautiful vocal harmonies, world-class choreography, elaborate costumes and more to musical genres including country, polka, gospel, Cajun, Hawaiian, rap, patriotic, and rock. There is a short, interactive pre-show. Christina, Shoji's daughter, makes guest appearances. Incredibly ornate bathrooms and theater decor. 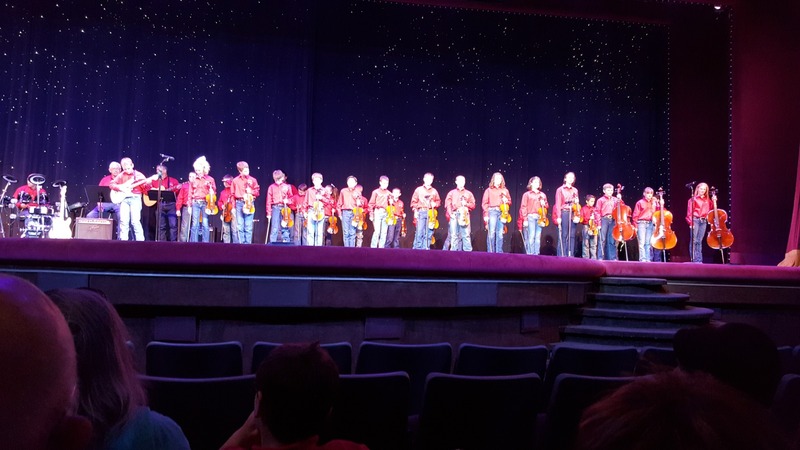 Features world-class choreography and a full live band including a horn section. 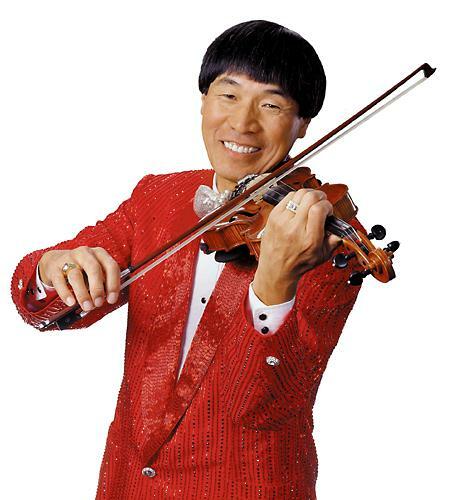 Shoji Tabuchi is a world class fiddle player. New songs include "Uptown Funk" by Bruno Mars. 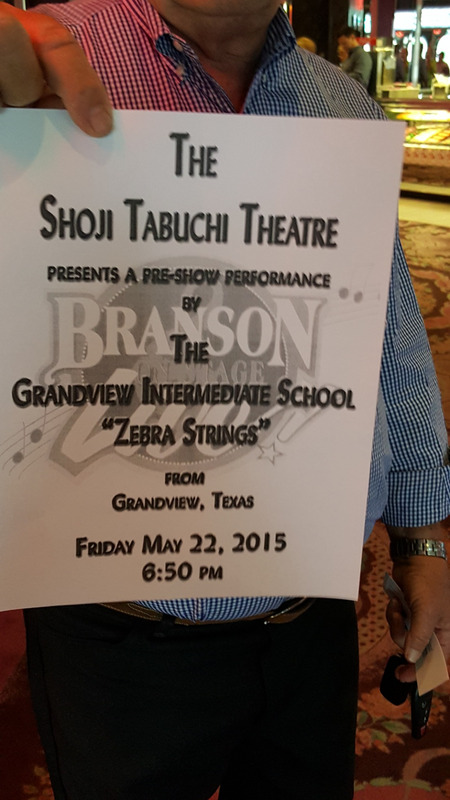 There’s a reason that when people think of Branson, they think of The Shoji Tabuchi Show! 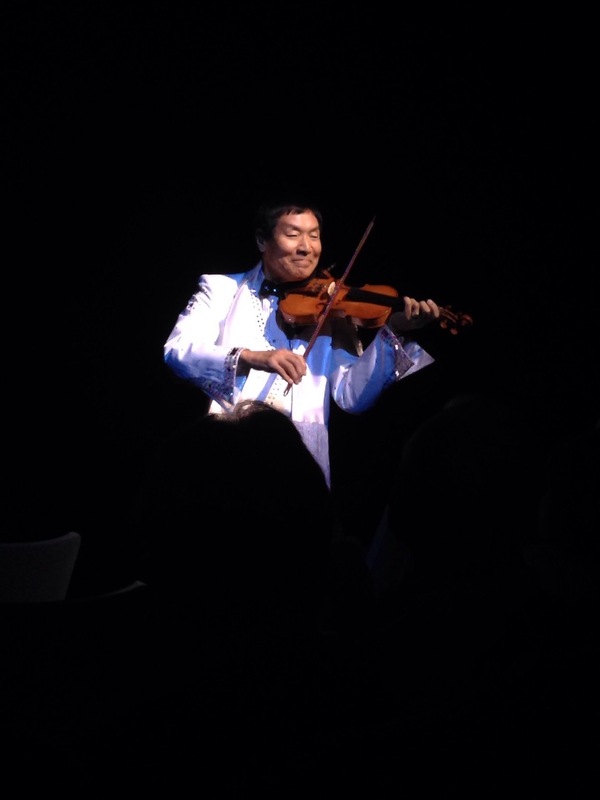 From Osaka to Nashville to Branson, Shoji Tabuchi’s inspiration story is the stuff dreams are made of! 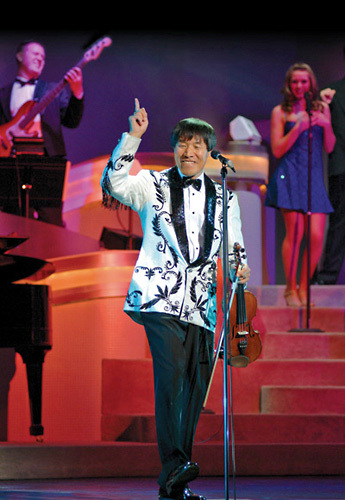 Acclaimed as one of the greatest entertainers in the world, Shoji Tabuchi is Branson’s must-have ticket! 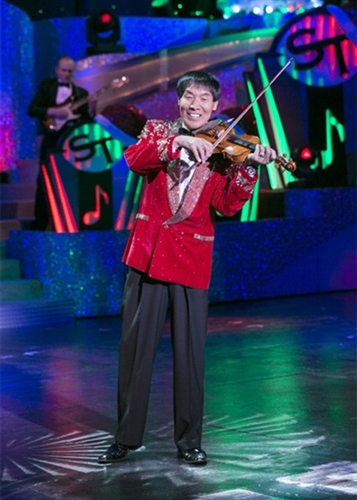 With all the glamour of Hollywood, the spectacle of Las Vegas, the production of Broadway, and the family fun of Branson, by reputation The Shoji Tabuchi Show is Branson’s best show The Tabuchi Family has dedicated over 30 years to excellence in family entertainment! 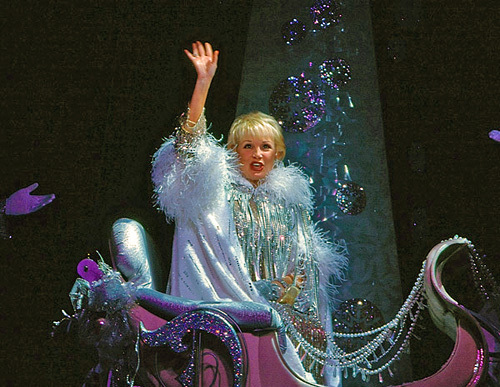 As the show’s creator, executive producer, and Artistic Director, Shoji Tabuchi’s multi-talented wife, Dorothy Tabuchi surprises the audience with electrifying production numbers year after year. Shoji Tabuchi is also joined by his breathtaking daughter, Christina Lingo-Tabuchi, already a veteran showstopper and now co-producer of the show! Shoji, Dorothy, and Christina three magical names in Branson, together for the show no Branson visitor can miss, The Shoji Tabuchi Show! 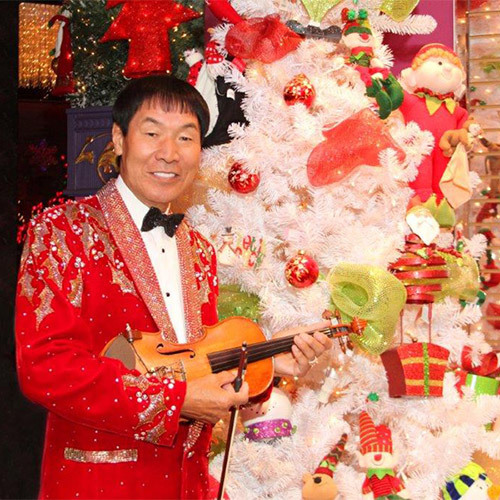 Experience Christmas with The Shoji Tabuchi Family like never before! The holiday season comes to life in this breathtaking Christmas celebration. 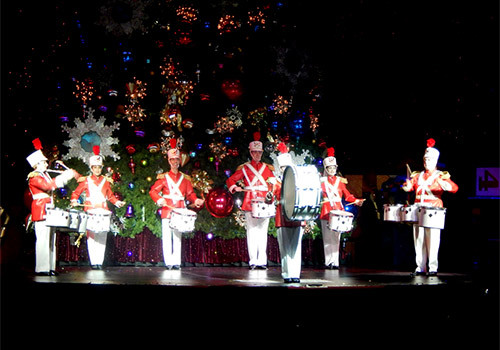 Featuring holiday favorites old and new, in ways you have never heard them before! Create a Christmas memory with your family that you will cherish for years to come! How long is the Shoji Tabuchi Show? Do Dorothy and/or Christina perform in the show with Shoji Tabuchi every night? No, they do not. They perform on randomly selected dates and that information is not released to the public. 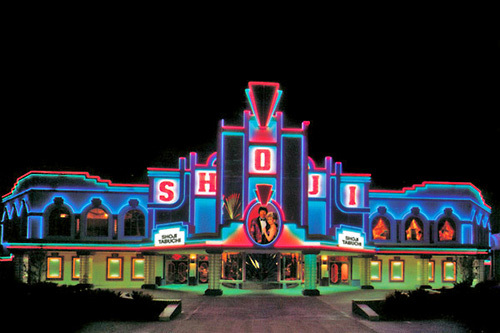 What do I need to know about the Shoji Tabuchi Theatre? The Shoji Tabuchi Theatre has 5 sections across the lower and upper level with cushioned seats and backs, arm rests, and does not have cup holders. The theater does not have stairs. Guests who require wheelchair accessible seating can use one of the 86 handicap seats and/or floor seating. 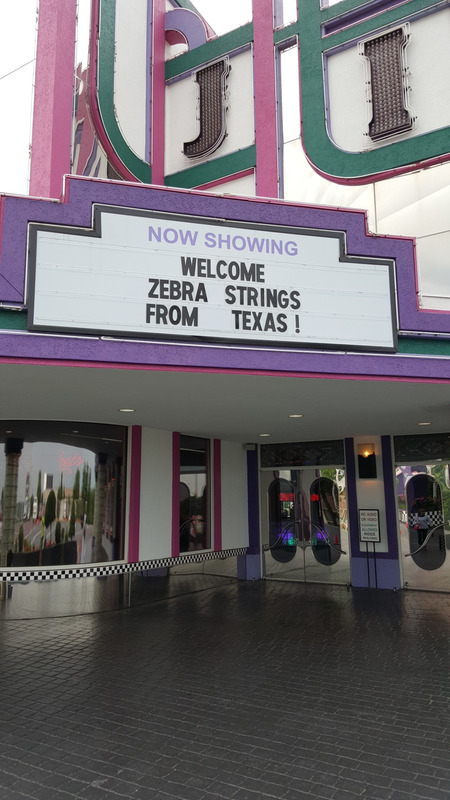 For children who are unable to sit through the show, a cry room is available. The theater does not have VIP seating. The sooner you book, the better seats you will receive.